Her Royal Highness Princess Royal attended the 60th Anniversary parade of The Queen’s Own Gurkha Logistic Regiment at St Omer Barracks in Aldershot on 1st July 2018. A crowd of approximately 750 invited guests and family members attended the event. The 60th anniversary celebrations kicked off in the glorious sunshine, firstly with an inspection of the troops by HRH The Princess Royal, then the Kasam Khane ceremony took place followed by presentations to those having been selected for Officer commissions and those chosen to receive Regimental gold medals, which are issued to individuals for their exceptional service to the Regiment. The Kasam Khane ceremony is significant to the celebrations because it is the swearing of the oath of allegiance to the Regiment. An initial oath is taken by all new soldiers as part of the enlistment process where they swear loyalty to the Monarch and promise to faithfully defend and uphold them, their heirs and successors, and to obey the orders of those Officers placed over them. The affirmation is a key aspect of joining the British Army and soldiers cannot serve until this oath has been made. 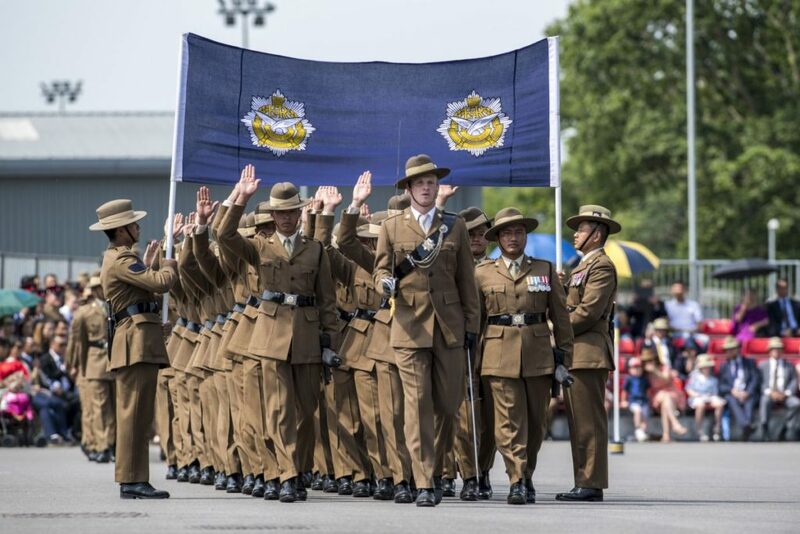 Upon joining their individual Regiments as trained soldiers, it is customary for the soldiers in Regiments of the Brigade of Gurkhas to swear a second oath. This is what is known as the Kasam Khane and for those of 10 QOGLR it takes place annually. The Kasam Khane dates back to the eighteenth century, the exact format of each ceremony varies between the Regiments but for those joining 10 QOGLR, whose first Kasam Khane was held in Kluang, Malaya in 1962, the format of the ceremony started with a display of silent drill and concluded with the touching of the Regimental Colours whilst marching under them. 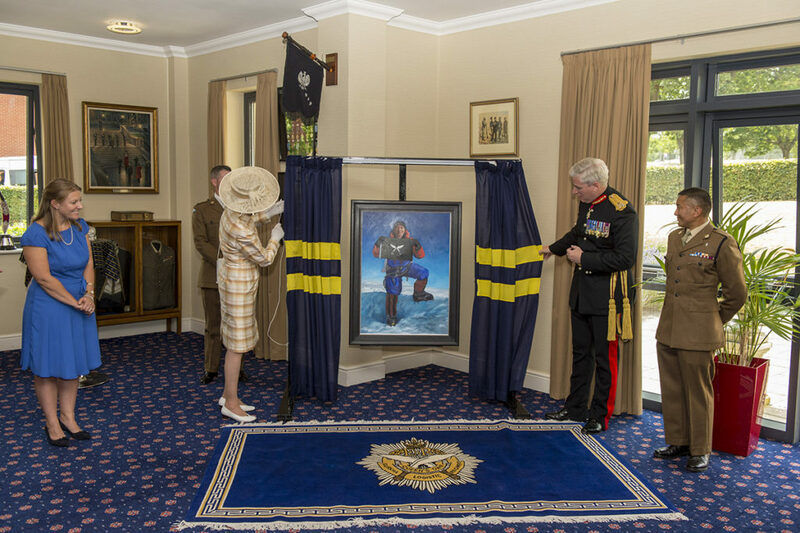 HRH The Princess Royal also unveiled a commemorative painting in honour of Sergeant Yam Bahadur Gurung who summitted Everest in 2017 and she presented Pipe Major Sergeant Saroj Gurung a set of silver plated bagpipes as a birthday gift to the Regiment. 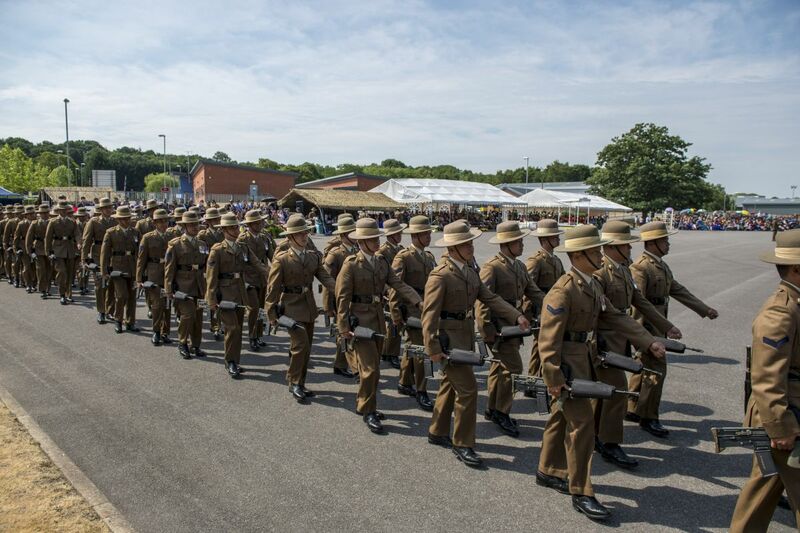 The commemorative events included Regimental history readings, the cutting of the birthday cake, a Parachute display from the RLC Silver Stars, Commander’s Sword tug of war and some traditional Gurkha entertainment including cultural dances and the Khukuri dance. The exciting and memorable day of celebrations was concluded with Sounding the Retreat.